This year I started keeping a calendar of flowering plants. My purpose was to see what was blooming when so I could plant a variety of pollen- and nectar-producing, bee-friendly flowers, bushes and trees around my house. Spring comes early in eastern Washington. 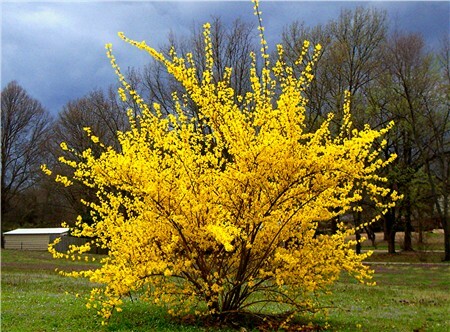 And one of the first on my blooming calendar was the Forsythia with its bright yellow blossoms. It’s always a sure sign spring is here. For me, it’s also been a sure sign my bees are getting a good supply of pollen and nectar. The pollen and nectar may have been flowing, but not from Forsythia. As pretty as it is, it has no pollen and no nectar. Bees totally ignore Forsythia and many other flowering plants – a fact I didn’t know before reading Garden Plants for Honey Bees by Peter Lindner. I assumed most, if not all, flowering vegetation provided pollen and nectar for bees. Unlike me, Lindtner observed that no bees were buzzing around his Forsythia. That’s when he realized not all plants are created equally. 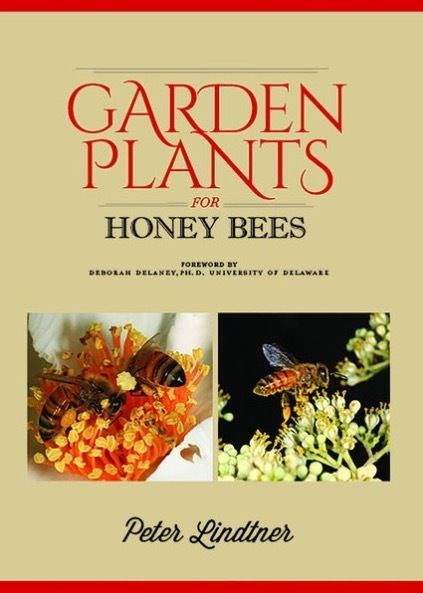 His new book (2014 Wicwas Press) is a month-by-month, alphabetical listing of bee-friendly plants. It’s richly illustrated with plant and pollen photographs, including scanning electron microscope images of pollen. In addition to providing photos in each plant description, Lindtner has evaluated each plant by its nectar and pollen resource – one star (*) being the least resourceful and five stars (*****) being the most resourceful. As beekeepers, we need to ensure our bees have access to adequate supplies. I realize the limits of what one can do if living in the city on a quarter-acre lot. But be aware of what’s in your neighborhood and what you can recommend to people who want to plant bee-friendly flowers, shrubs and trees or should be planting them. Fortunately, I have the room to plant bee-friendly plants. Unfortunately, I need to replace dozens of old, dying poplar trees. Fortunately, I discovered Garden Plants for Honey Bees and can dispense with my own calendar. It’s an excellent source of the best of what blooms when. It’s also a good resource for beekeeping clubs and personal libraries. The only thing I would have liked to have seen is a list of plants to specifically avoid. But that hardly detracts from the book’s value. I purchased my copy at Ruhl Bee Supply in Gladstone, Oregon, for $34.It lists for $47, but it’s available from the Wicwas Press, Amazon.com and, I’m sure, other book retailers and bee supply companies for $34 or less. I think most people assume all flowers are good for bees. Unfortunately the way a lot of garden plants have been bred has resulted in them producing no or reduced nectar, as the way the flower looks is what matters to people. Sometimes the best flowers are very unshowy. Ivy has unobtrusive tiny green flowers, yet it produces a heck of a lot of nectar in autumn. Very true. There are also a few organizations, such as Honey Bee Allies, that sell seed packets of wild, heirloom flowers for planting. Thanks for your comment, Emily.